In the next few days I shall be travelling westwards for a little vacation by the ocean, and as is my usual habit, I am packing a small supply of art goodies to come with me. It's not much compared to some, but for me it's enough to capture the essence of things, the colours, patterns, shapes and textures that will spark ideas for when I get back, or play with ideas that come to me en route. Plus, all the small stuff neatly packs into a mini index card file! 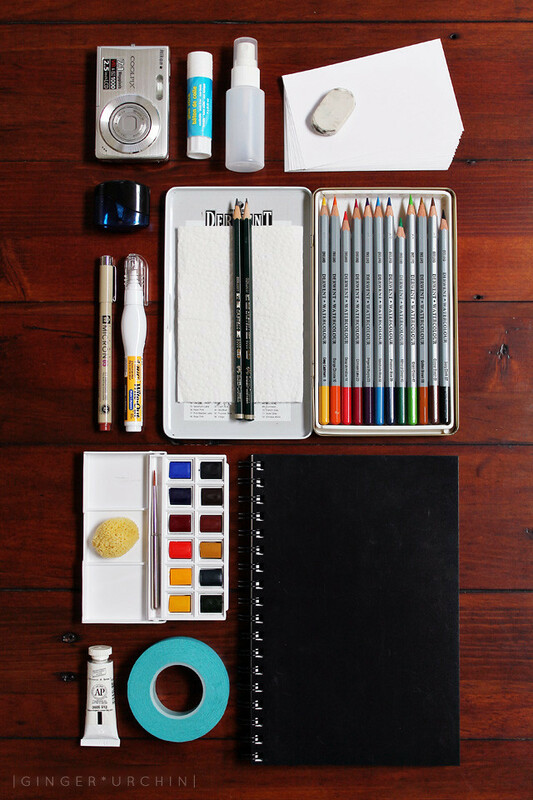 Are you taking your art on the road this summer?